Monogram ranges rise to every occasion. 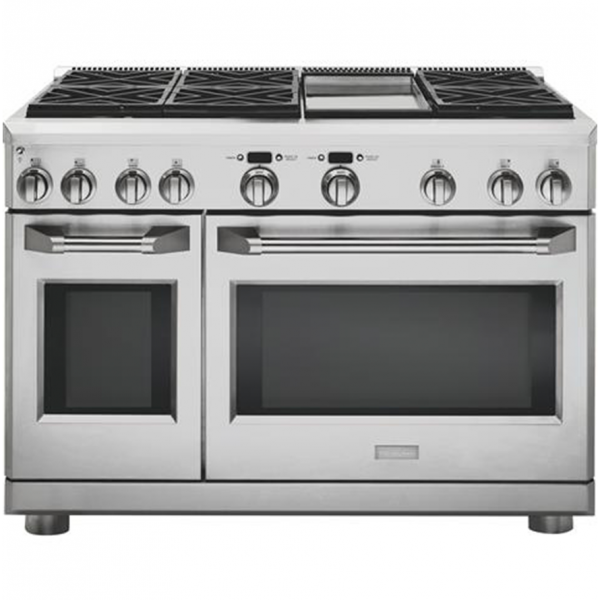 Induction cooktops, connected ovens, custom-panel refrigerators, Advantium speedcooking ovens, and premium dishwashers blend seamlessly into your dream kitchen. 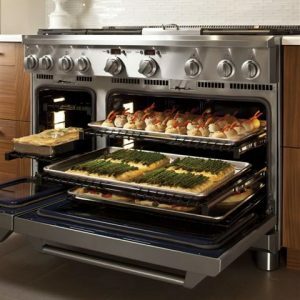 Keep ingredients fresher longer, create masterful meals, and clean up easier — all with impeccable taste to spare. 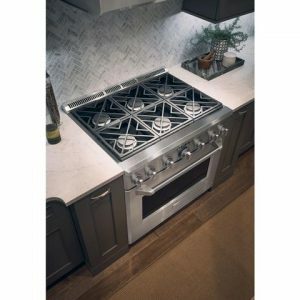 Monogram goes beyond simply cooking and cleaning — they elevate everything. Years of intensive research and development make Monogram ranges the choice for restaurant-caliber cooking in the home. Authentic Professional Appearance – Stainless steel with smoothly finished edges, large electronic controls knobs and heavy duty handles. 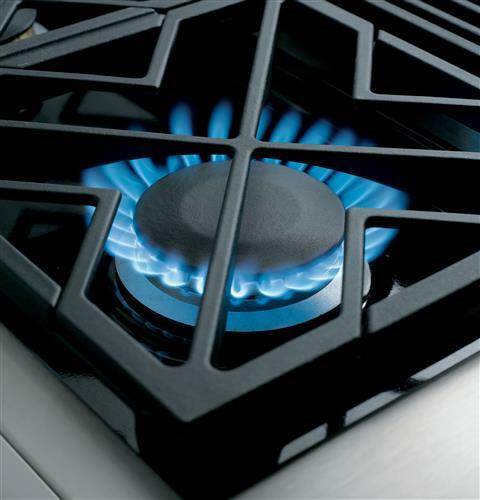 Sealed, Dual-Flame Stacked Burners – Deliver a full spectrum of heat settings, from an ultra-low 140ºF simmer to an intense 18,000 BTU. 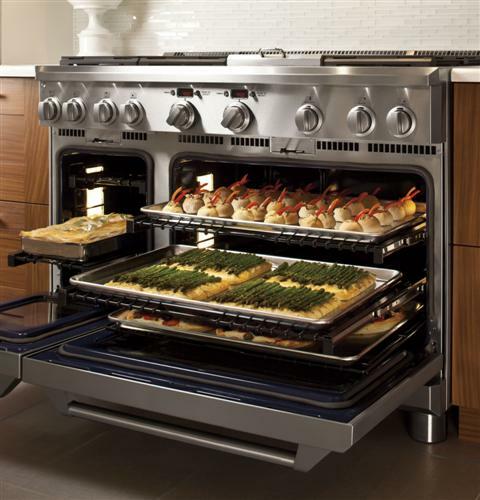 Professional Dual-Burner Bake System – Combines reverse-air convection technology with an infrared broil and gas burner to provide superb baking results, with fast preheating. 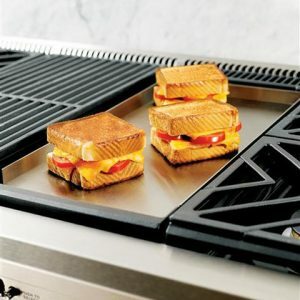 Infrared Broil Burner – Produces intense heat needed to sear meats to lock in juices and is thermostatically controlled to provide top browning when baking or convection baking. 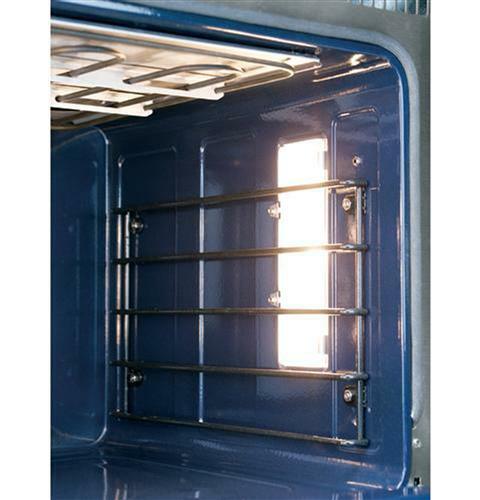 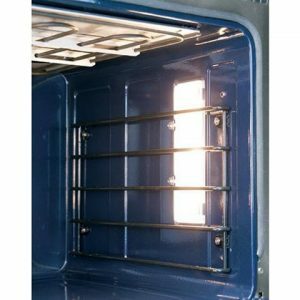 Heavy-Duty Oven Racks – Glide smoothly in and out on stainless steel ball bearings for easy access, and are designed to remain in the oven during the self-clean cycle. 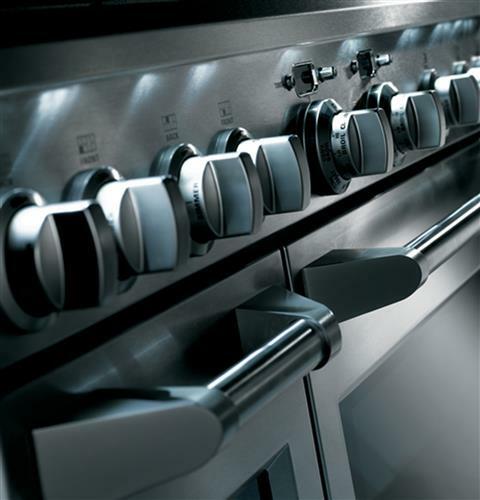 LED Task Lights – Below the bullnose, provide a functional and theatrical touch. 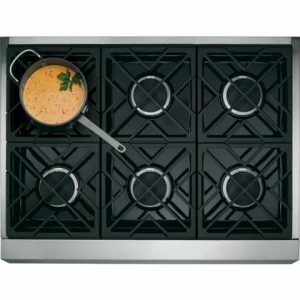 Reversible Burner Grates – Flat on one side and uniquely contoured on the other to accommodate round-bottom woks.